The Securities and Exchange Board of India (SEBI) est. 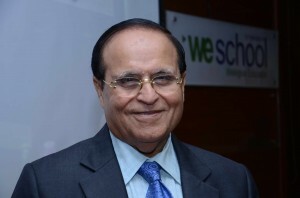 in 1992, is the regulator for the securities market in India in accordance with the provisions of the Securities and Exchange Board of India Act, 1992.It is meant to “…to protect the interests of investors in securities and to promote the development of, and to regulate the securities market and for matters connected therewith or incidental thereto”. However, the SEBI ACT is always getting amended, thereby creating pressures and hurdles in understanding how the regulatory structure works in India or in the world. 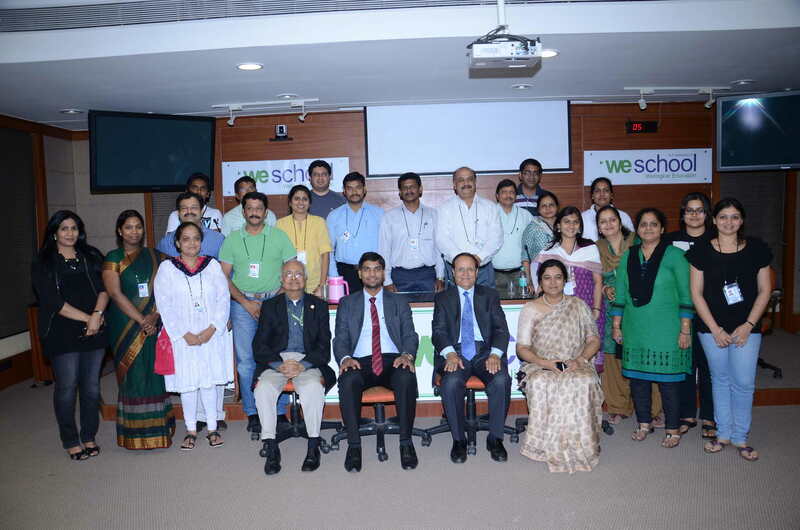 To debate the intricacies arising out of this delicate situation ,Weschool held a one day seminar for its own students of the Business Management for Legal professional (BMLP) and those from the Institute of company secretaries of India( ICSI western region ). 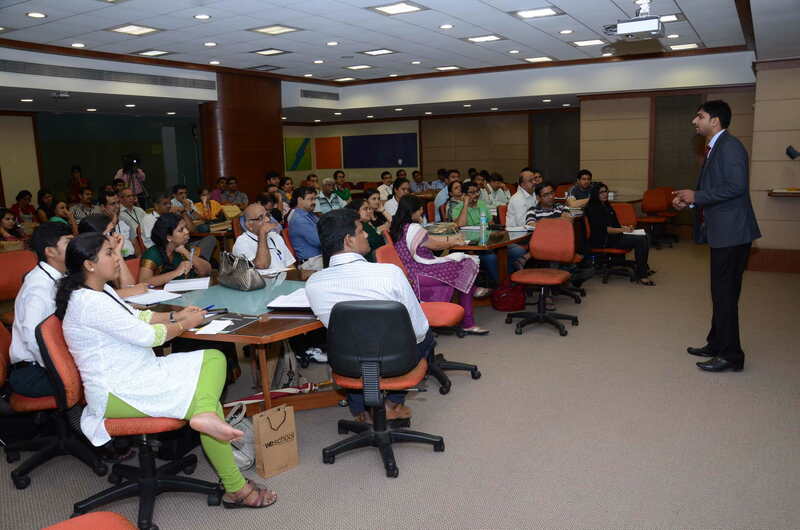 The Brainstorm room was packed to the capacity with the lawyers and company secretaries all ears, waiting to listen to Mr Sumeet Agarwal, the legal advisor to SEBI and the stalwart lawyer from High court, Mr Rafique Dada. Mr Hitesh Buch, Chairman –ICSI, Prakash Pandya, fellow colleague from ICSI, Prof Kanu Doshi, Dean-Finance-WeSchool and Prof Mohana Raje, Head –BMLP were also present on the occasion. “The ‘We’ in our name stands for bringing together of diverse entitites.We bring together heterogeneity, people with opposing thoughts and ideas and make them work together effectively as we believe that we can leverage the strengths of each other. We design future by starting innovative programs like Retail, E-Biz and healthcare. Lets leverage each other’s strengths and work together for a better world “ ,said Dr Salunkhe while welcoming the guests from ICSI . Mr Sumit Agarwal began his presentation by saying that there is debate raging worldwide about whether a country should have different sectoral regulators like SEBI,PFRDA,TRAI,CCI or just one core central body to take care of all regulatory activities.” Security regulators worldwide have the same concerns even though their work framework may be different” he said. 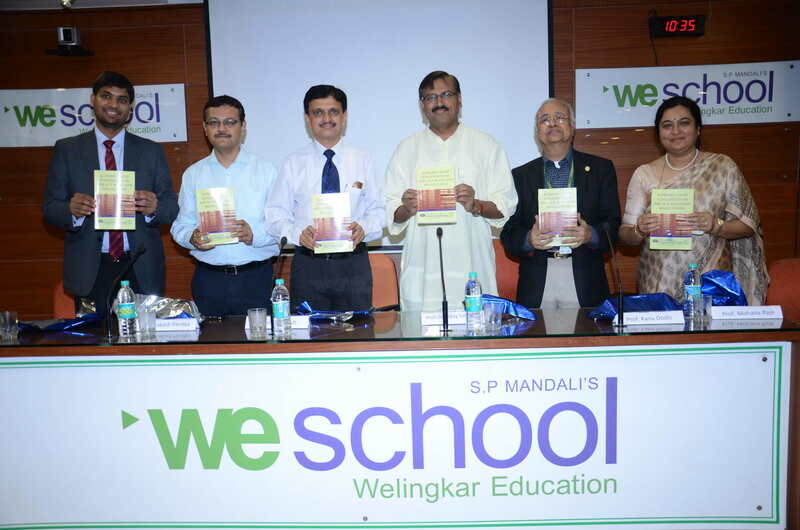 And went on deciphering the intricacies of the SEBI Act and its manifestations in the capital markets, its modalities in the trading sector and the conflicts and controversies it creates from time to time. With SEBI the capital markets’ watchdog , initiating the process of penal actions against companies having defaulted on minimum public holding norms, with a strict crackdown against defaulters ,and also getting geared to tackle a dozen listed public sector companies, that need to achieve minimum 10 per cent public float by sale of shares before the stipulated deadline of August 8,the interactive talk by Mr. Agarwal was indeed thought provoking, a great learning experience for the Lawyers and company secretaries in the audience. 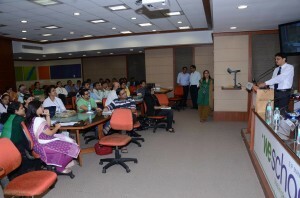 Mr Rafique Dada, Senior Advocate and Former Additional Solicitor General of India ,took center stage and proved once again that he is the champion of resolving the disputes without compromising on the truth. With the depths of sound legal knowledge and years of experience of fighting complicated legal battles, combined with wonderful oratory skills, he held the audience spellbound with real life examples , quotes and anecdotes.